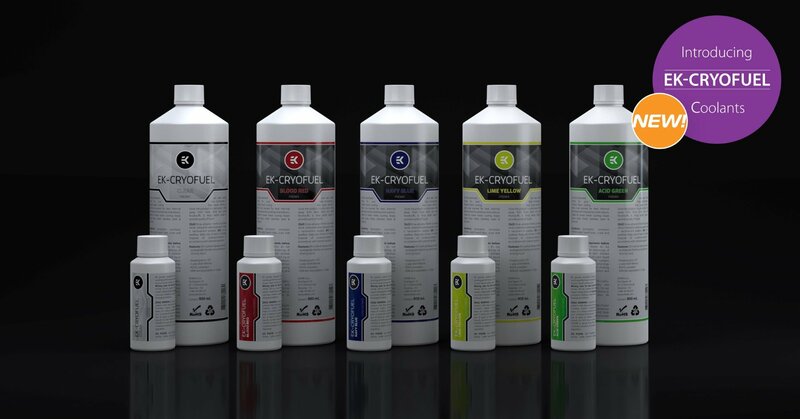 The EK-CryoFuel is a new revolutionary coolant for PC liquid cooling systems. 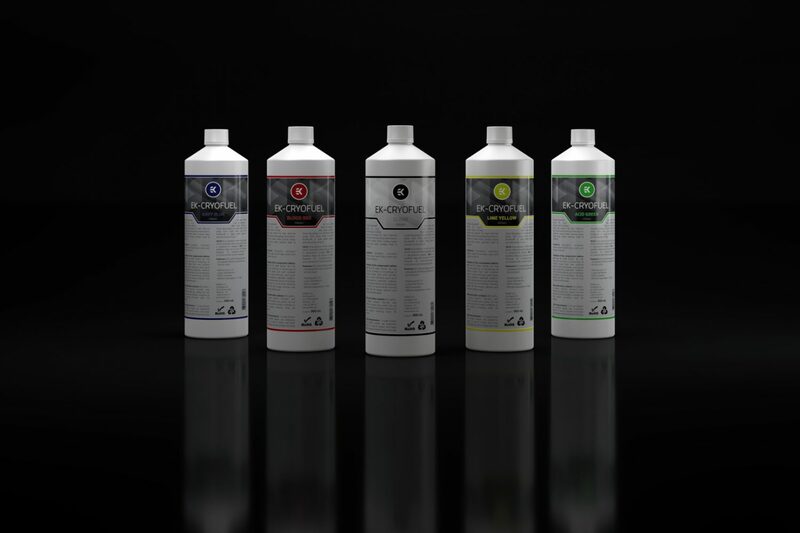 Our mission was to deliver the most chemically stable coolant that would provide enthusiasts and gamers with the best possible level of performance and thermal efficiency with the emphasis on color stability. Designed specifically for computer liquid cooling systems, we found our inspiration for CryoFuel in cryogenic fuels that are used at extremely low temperatures to operate in space machinery. EK-CryoFuel is available as a premix and can be poured directly into any custom loop without any additional chemicals or kill coils. It comes as a Clear (transparent), Blood Red, Navy Blue, Lime Yellow and Acid Green color in a 900mL bottle. The amount of a single premix is more than enough to run a typical custom loop with multiple water blocks and radiators. To calculate the exact amount of coolant needed for a custom loop, users can always check with Custom Loop Configurator. Custom Loop Configurator features Coolant capacity calculation on the far left. It shows the amount of coolant needed for a specific custom loop. 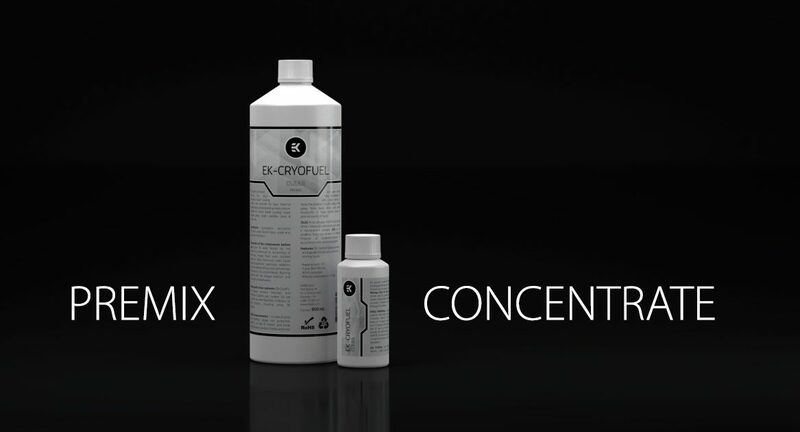 EK-CryoFuel is also available as a concentrate, available in a 100mL bottle and has to be mixed with distilled water in ratio 1:9 to form 1L of ready-to-use coolant. 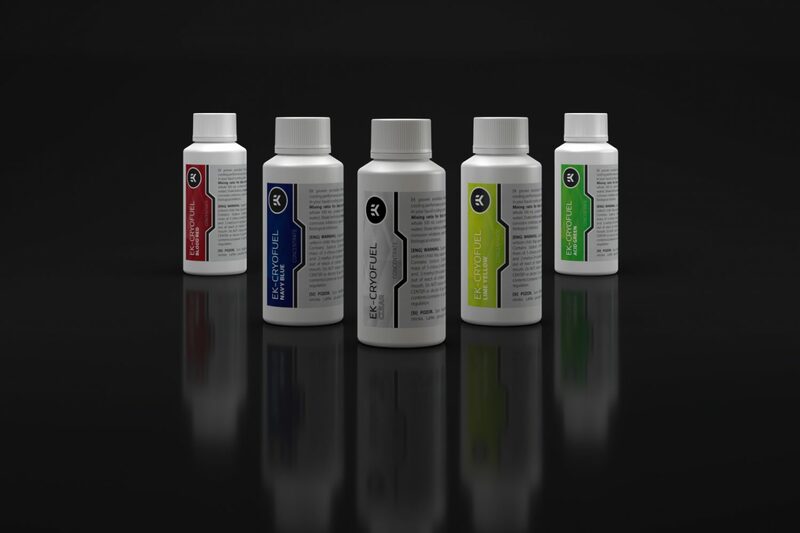 Like the premixes EK-CryoFuel concentrates are available in Clear (transparent), Blood Red, Navy Blue, Lime Yellow and Acid Green color. To make the process of mixing the concentrates with distilled water easier, we are also introducing the filling bottle that comes with a special tube for reservoir opening. This makes loop filling process much easier! Filling bottle to make filling your loop easier – sold separately! EK-CryoFuel coolants are made in Slovenia, Europe and are already available for purchase through EK Webshop and Partner Reseller Network. In the table below you can find the MSR price with VAT included.